Such elegance and nervous poise. 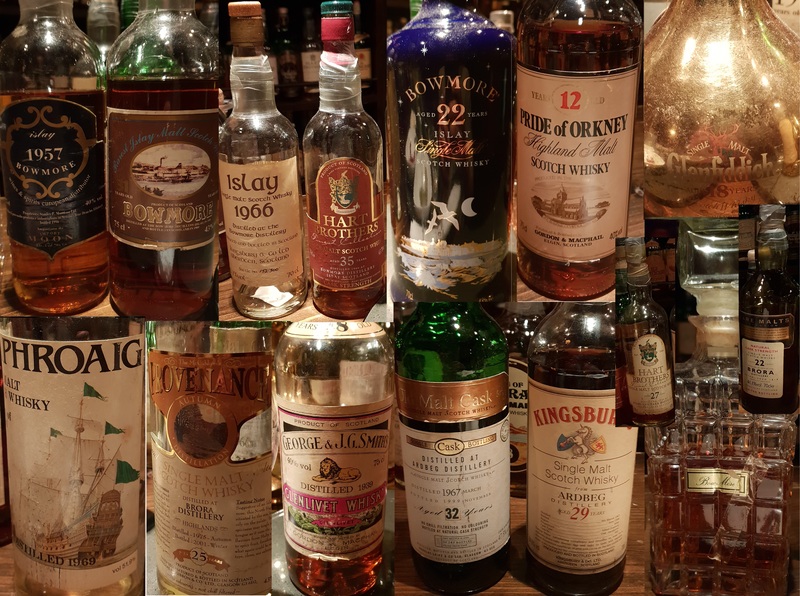 I think of another very fruity 50s Bowmore..
Less overt fruit, more phenolic though a little muddled and oaky to be called great. Exaltingly exuberant. Beautiful old Bowmore. Neither age nor abv seems to hold back these old Bowmores, though a bit of a step down. Not a fruity style here, find salt and phenols instead. I expected better though. We’re guessing Highland Park. Salty sea air, light rooty phenols and dried green things. Waxy, oily somewhat disconcertingly clean though hints of peat and gravel poke through the mounds of dried grass. That it’s still alive impresses me greatly. Old rancio-ed sherry style. MUCH better than any other 18 that came after. Lighthearted but honeyed and weighty-oily on the palate, a far cry from the spiritous waifs of today. Not terribly impressed despite the pedigree. I am willing to attribute this to being the last pour in the bottle. Short on fruits, full on salt, puzzling about the smoke. Earthy-pungent old Ardbeg full of rancio and half sunken boggy things. Frighteningly massive amounts of smoke, oily earthy peaty and thick resinous old sherry, no wonder it carries such a reputation. No other information available, those who know know. Not the best Bowmore though. Are you kidding. A phenomenal and utterly astounding beast. 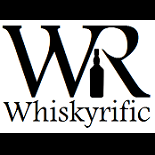 This entry was posted on April 3, 2019 by Whiskyrific in Ardbeg, Bowmore, Brora, Glenfiddich, Glenlivet, Highland Park, Laphroaig and tagged Ardbeg, Bowmore, Brora, Glenfiddich, Glenlivet, Highland Park, Laphroaig.